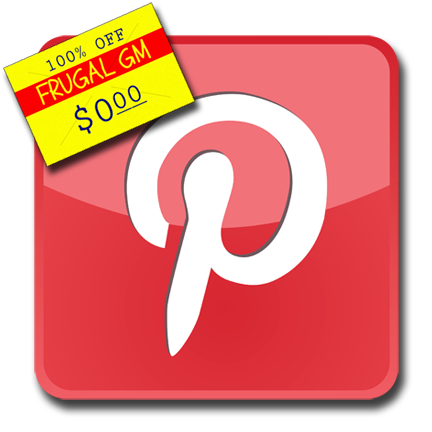 I don't know of too many GMs using Pinterest, probably because I've always thought of it as the domain of women's arts & crafts sharing, but recently I've discovered it can be used as a useful tool for the Frugal GM. In the past when I saw something I liked that I might want to reference later.....maybe a product I want to buy, a map I might use, or even some game concept/idea I want to borrow....I'd have to go through a whole "thing" where I'd create a file to save a picture or PDF printoff or even the URL. Information would end up getting stored in one or more places and maybe I'd get back to it. Now with Pinterest I have a quick shortcut on my browser tool bar that pretty much lets me store a graphic and link altogether easily and quickly. Lumping items together into a single "board" is easy to do and sharing the board is a snap. You can follow boards and use Pinterest to search for things as well. 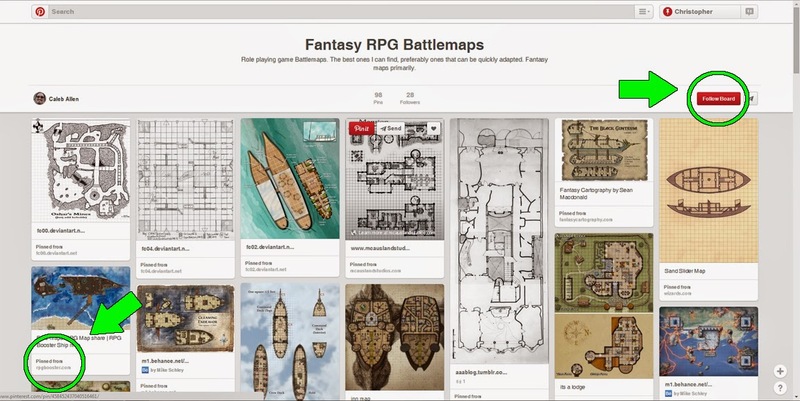 Here is a board for Fantasy RPG Battlemaps. If this particular board interests me I can use it to get more information I'll probably enjoy. In this case I can "follow" the board, getting a social media link I can check in on easily, and I can "drill down" to look for more stuff. In this case I end up at another cool board and see some links for sites I'd never come across yet. Today I found a "must have" accessory that, while not obviously designed for in-game use, is the perfect thing for me integrating my iPad at the table. With luck I'll have something put together by this weekend! I also found this gem of a video. 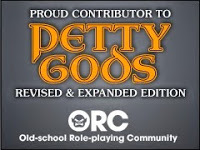 Although it is for a system I don't play, it was a good watch. Luckily I saved so much time from saving ideas on Pinterest that I could waste them watching this video.